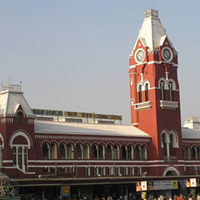 Madrasi is your city guide to Chennai India. From automobiles to education, from latest cars to travel, you will find it here. Brew the traditional Madras filter coffee while you browse through our pages chockful of information about this metropolis. Look for short getaways from Chennai as a break from the humdrum routine. Our destination section is an informative guide to locations and tourist spots. The name Madras brings to mind visions of piping hot filter coffee, carnatic music, bharat natyam and more! Today the city has become a melting pot of other cultures and languages too, with a sizeable number of people from Andhra Pradesh, Kerala and Karnataka making Chennai their home. With the increasing number of MNCs and IT enabled companies setting up base in Madras, it is not unusual to find strains of other languages being spoken. You can taste cuisine from different parts of India as well as international gourmet varieties. But the flavor of the local cuisine continues to hold its own against all of the later entrants. Visitors to the city can find many a place of tourist attraction, from the sands of the Marina to the ancient Parathasarathy temple or the Santhome Basilica Cathedral. The shore temple at Mahabalipuram or the Snake Park at Guindy, the Vandalur zoo or the mega entertainment malls - Chennai city has it all! Lose yourself among yards of sensuous Kanchivaram silk sarees or arts and handicrafts that are a specialty of the region. We bring you the best in this Chennai City Guide. Read up some tidbits of information on places within the city that you never knew of. For a complete guide to Chennai, for exhaustive details on different aspects of living, traveling and shopping in the city, look no further!